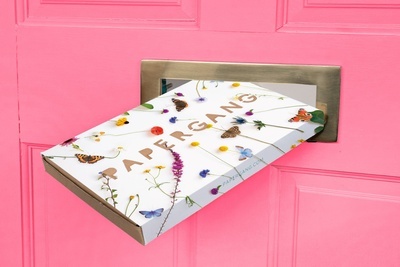 Enter your email address below to receive a notification when Papergang starts accepting new sign-ups! Enter your email address below to receive a notification when Papergang is accepting new sign-ups again. 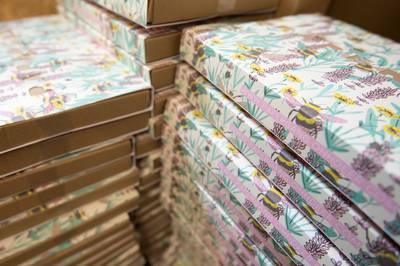 Ships the first 7 working days of the month, If ordering after the first 7 working days of the month your box will be dispatched within 1 - 3 working days. 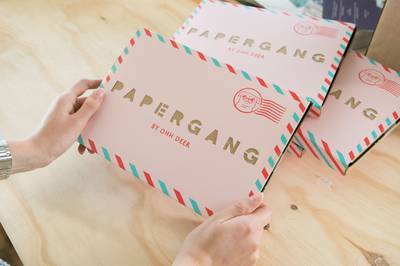 You'll receive a dispatch email every month confirming when your Papergang box has left our warehouse and is on its way to you. 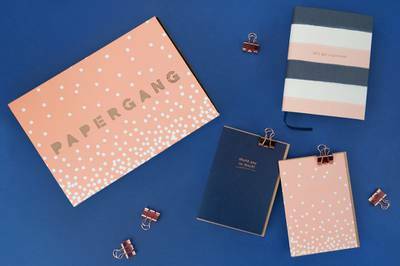 In love with all things paper? 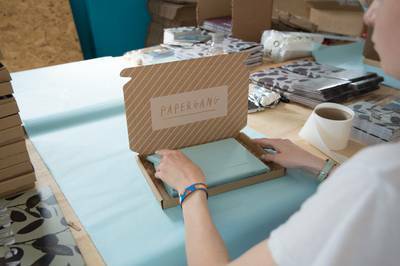 This subscription box is our way of turning a paper obsession into a monthly treat! 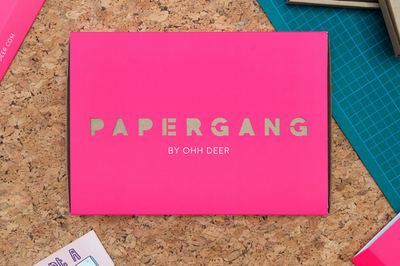 Each month, you will receive a box full of cute and fun paper products featuring the work of a different artist every month. Includes: notebooks, greeting cards, pens and pencils, art prints, and much more! This box offers a good value for its price. Every month there's a different design and so far there was none that I didn't like at all. Sometimes they are bit more simple, sometimes more detailed. The kind of items in the box can get a bit repetitiv if you have the subscription for a longer time (a lot of notepads, stickey notes, etc. ), but the items are always useful and there is a more surprising thing (like golden scissors, pencial case, etc.) almost in every box. I was pleasantly surprised when I open this Box there was such lovely gifts and there I really wish I would have subscribed sooner. I can't wait to see what the next Box Springs thank you paper gang. I recieved my first box the November theme and I love it. I have showed it off to everyone and they agree and have asked where I got it. 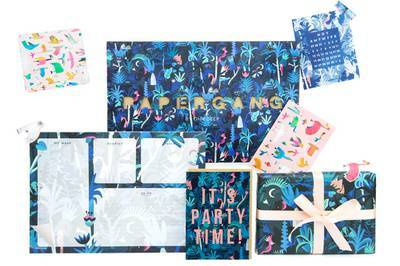 It's so colorful and cute its different from all the other stationary box I have tried looking forward to December. I have received two boxes now and they are exceptionally delightful. My first included a print and pen both with a design (color, line, subject) that seemed like they'd visited inside my head for. The second sold me on washi tape, which has never really clicked for me before. The boxes (content and concepts) are fun and well-made. Worth the extra cost for shipping to the U.S. I freaking LOVE this box! 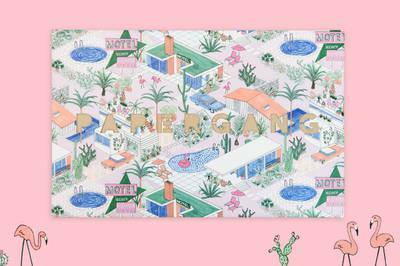 Papergang is definitely one of my favorites. You get so much value for the price. 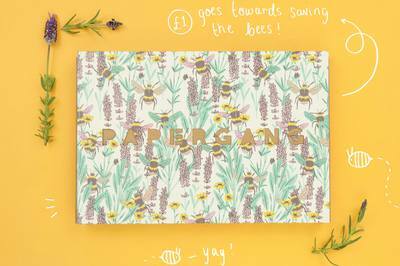 Journals, desk pads, notebooks, greeting cards, pencil pouches, pens, stickers... There was even an enamel pin in one month's box! The themes are really unique and the items are always useful. So colourful! Very budget friendly!